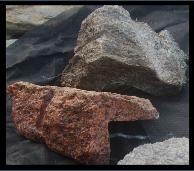 Cut River Rock "Real Stone Veneer"
Cut River Rock " Real Stone Veneer"
First of all, I want to make it absolute clear that we are not acquiring this stone from the river beds or the beaches. It comes from glacial drifts, a gravel pit that is used for highway construction. It was a river bed million of years ago. 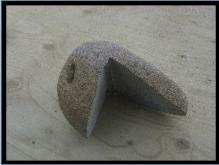 We took the real river rock stone that is a smooth worn stone and cut off the workable face and discarded the bulk . This cuts down on the massive weight, and the excessive wide joints are no longer mandatory. 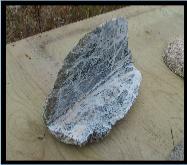 Now you have a workable stone that is 1/2 half to 2 1/2 inches thick, and has a width of 4" to 12" and length from 4" to 16" occasionally even longer specimens are produced. 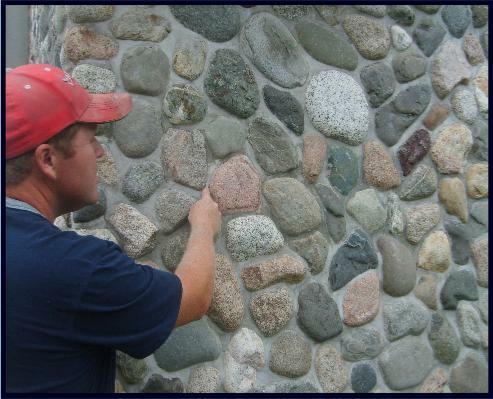 Corner stones are cut in a 90 % and are from 4" to 8" wide and 4" to 12" in length. 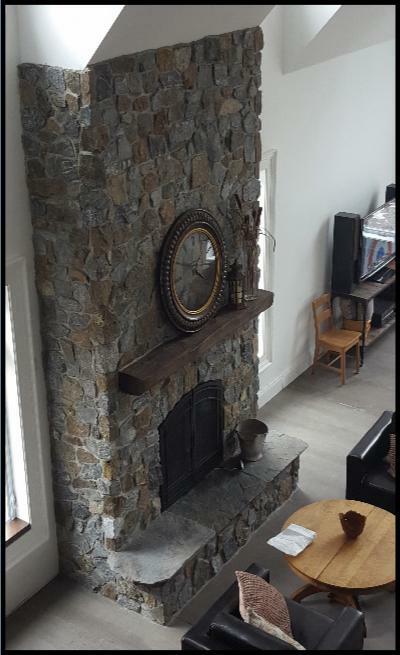 Now, you have a natural real stone veneer that can be quickly worked into your stone fireplace, stone home exterior, stone gates & pillars as well as interior stone applications. You have a bulbous look with set joints or flat mirror tile look but most of all, you have a unique real stone project the way it is suppose to look. 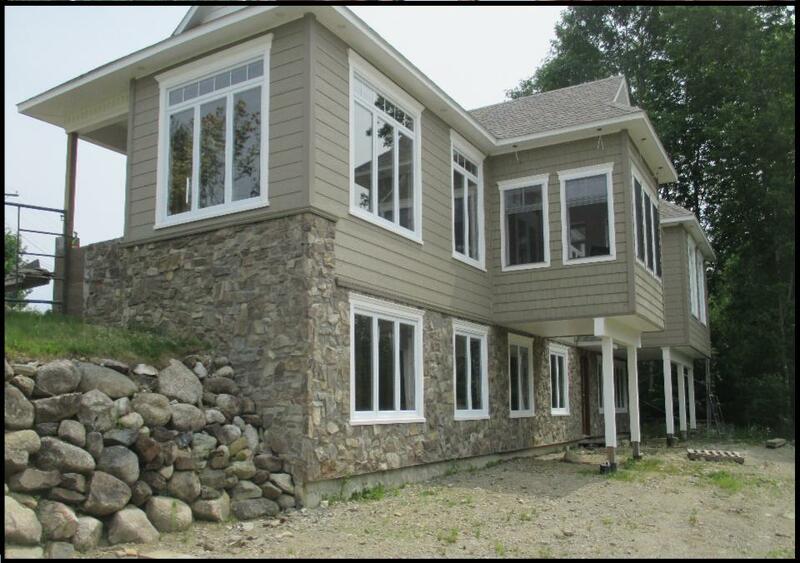 You get the impression that river rock and fieldstone are the same. Not quite River rock is similar in that it is glacier drift from millions of years of glacial turmoil of change. 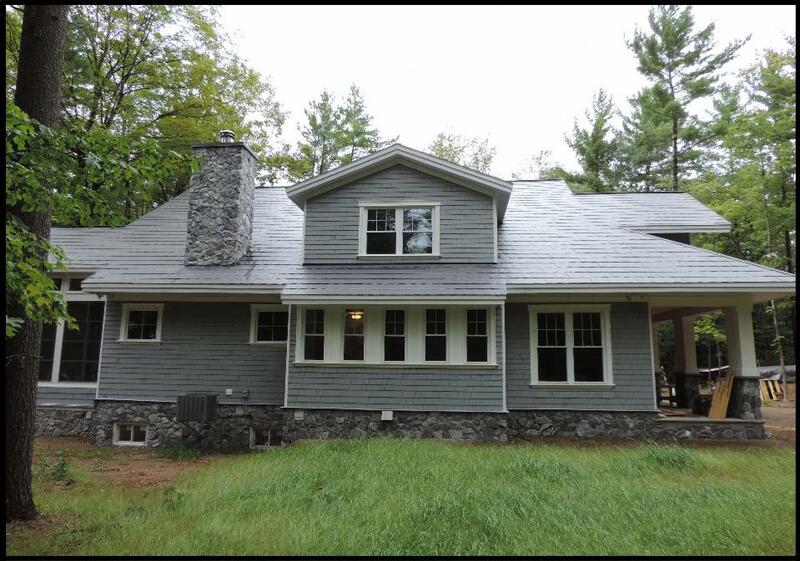 Fieldstone tends to be a little more rougher, the ones you pick out of the field or the ones the old homesteader piled up on the rock walls. Quarry stone is exactly what it says. Not only do we have historic quarry stone veneer that vary is shades of red to salmon pink, grey-white to black quarry stone and snowflake black quarry stone, we also have an earthtone quarry stone, a blue limestone, a grey sand stone in the recent developed quarries. The earth tone stone veneer, blue lime stone veneer and the grey sand stone do not have the historic half drill mark and chisel marks because it is not practical to process stone veneer in this manner in modern times. On the other hand , if the drill marks offend you on your fireplace or home exterior we can certainly eliminate them from your project. 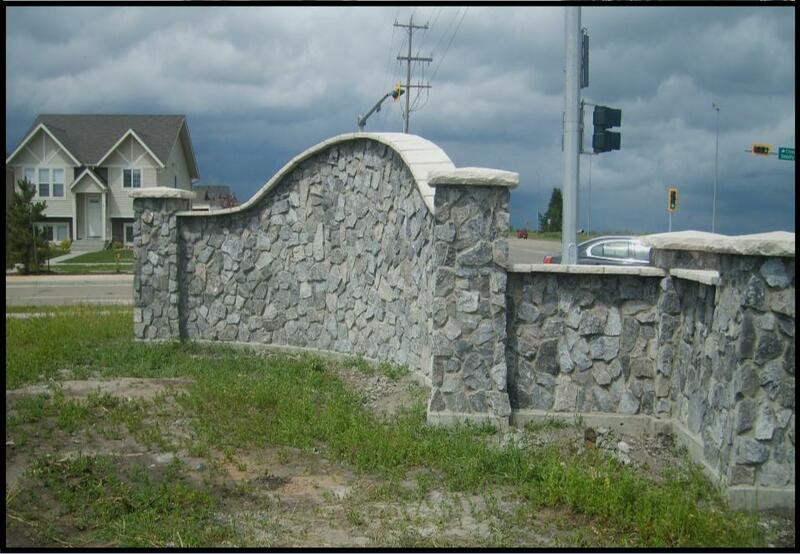 For stone veneer, our mill is designed for the adequate comfortable size of quarry stone veneer that is from 6 to 14 inches long and 6 to 12 inches wide. 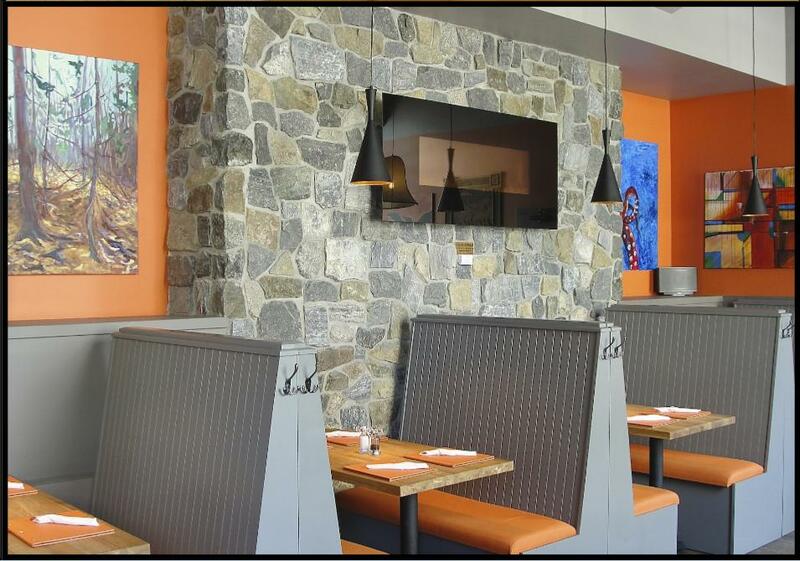 The cost of our stone veneer has been the same for years and there hasn't been a price rise. Unfortunately as time goes on that same low price for our natural real stone veneer will definitely rise, but for now the price will remain the same as it was ten years ago. It is impossible to give you an accurate price here, because there are several factors to take into consideration. That is quantity, then there is distance and the fact, can we couple up your order with another order, in order to give you the best price for Cut River Rock real stone veneers. Light weight within architectural guide line 15 lbs per sq/ft. 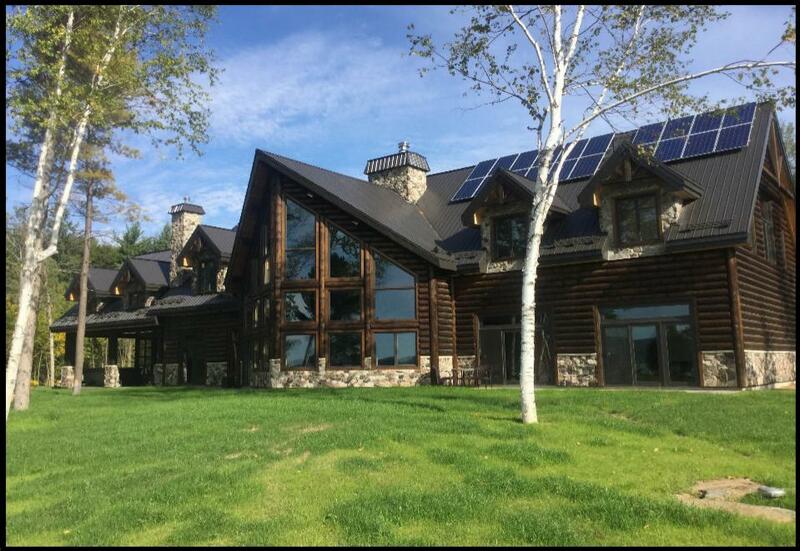 Architectural designers take into consideration for the weight involved in stone veneer of any sort whether it is manufactured stone or our natural real stone veneer. Actually artificial stone, which is mostly made of concrete, often times it is heavier simply because it is thicker, our stone veneer often times is only three quarters of an inch thick where as the artificial stone is upwards of an inch and sometimes two plus inches. One thing for sure Cut River Rock real stone veneer is well within the 15 lbs per sq/ft required by artechural guide lines. 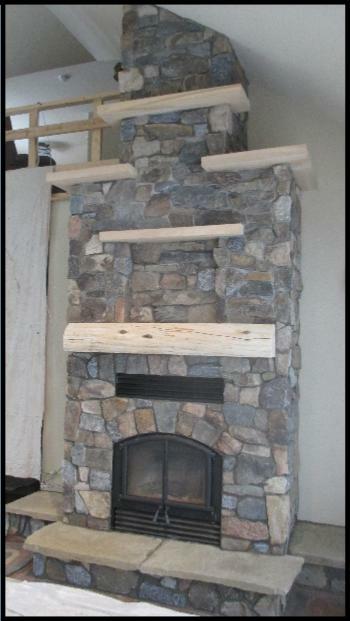 The weight of the stone veneer in most cases is not a factor because fireplace or load bearing wall is positioned and supports are over the foundation and on the base. A common question we get is. 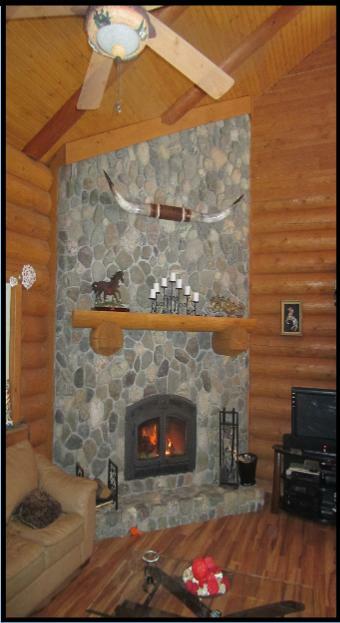 Will my wall support a fireplace?. the wall in question is bearing on the floor joist. Yes, assuming you have standard floor joist and the floor is supported by the normal jack posts in the basement. 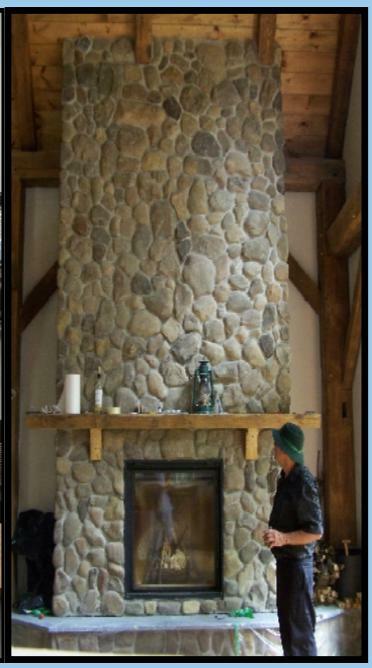 This would be for a wall type fireplace of approximately 70 sq/ft stone, 7"high by 6" front by 2' returns. When you go much bigger than this, cathedral ceiling, full wall, double fireplace etc., you will need additional support to the basement or foundation. This also applies to chimney chase on the roof. You will need support that follows through to the foundation. The old homesteader and stone masons never had the ability to cut a corner in 90 degree angle, in other words cut out the middle of the square-ish stone and be left with a veneer stone corner that would wrap around the corner on a stone veneer project. 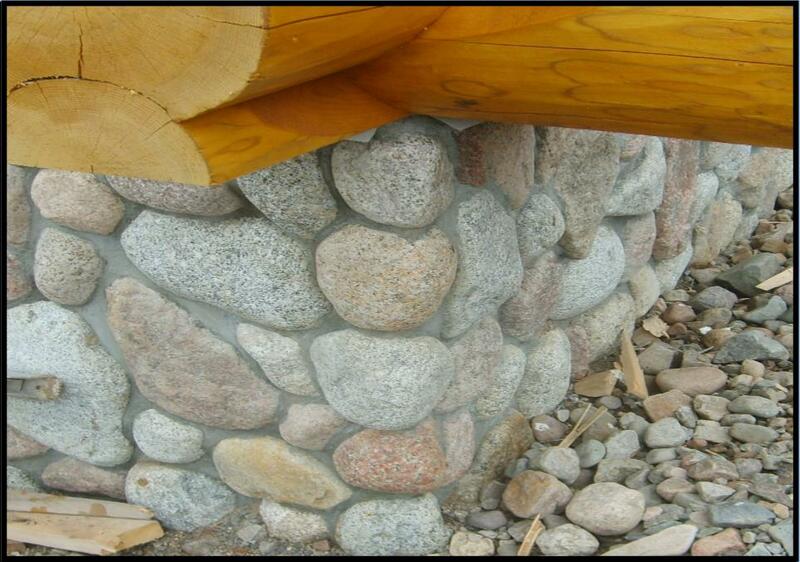 We have achieved this and it is done on our River Rock, Fieldstone, and Quarry stones to make a perfect corner. There are many different designs of stone too. Some are rather long, others are near square, while others are sort of oblong, this is done on purpose so when it is installed the stone mason can artistically make the work projects corner over lap and interlace rather than a tier which may be offensive to some people. Key stones are those special stone that are arranged in a fan sort of shape that are used in an arch way and over the oval arch in a stone fireplace opening. 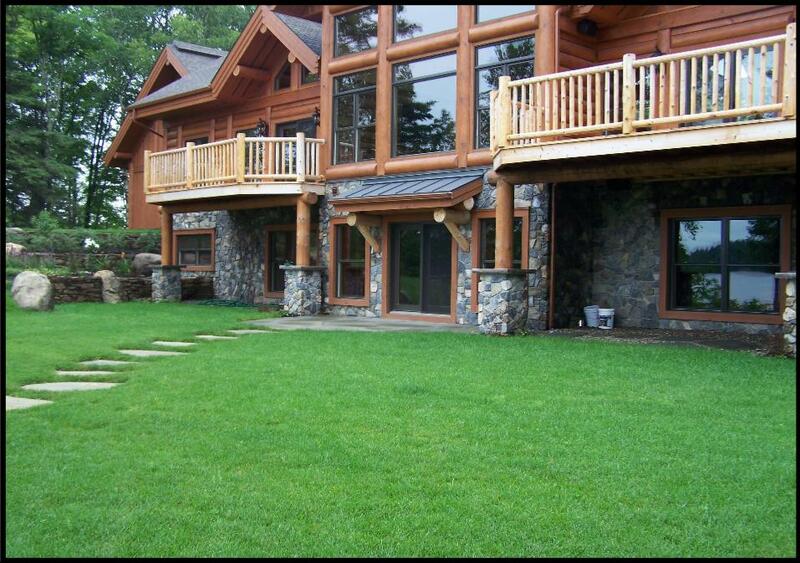 We have selected special River Rock, Fieldstone and Quarry stones that are naturally shaped for the purpose of arches. These are cut to 1 inch to 2 1/2 inch thick. 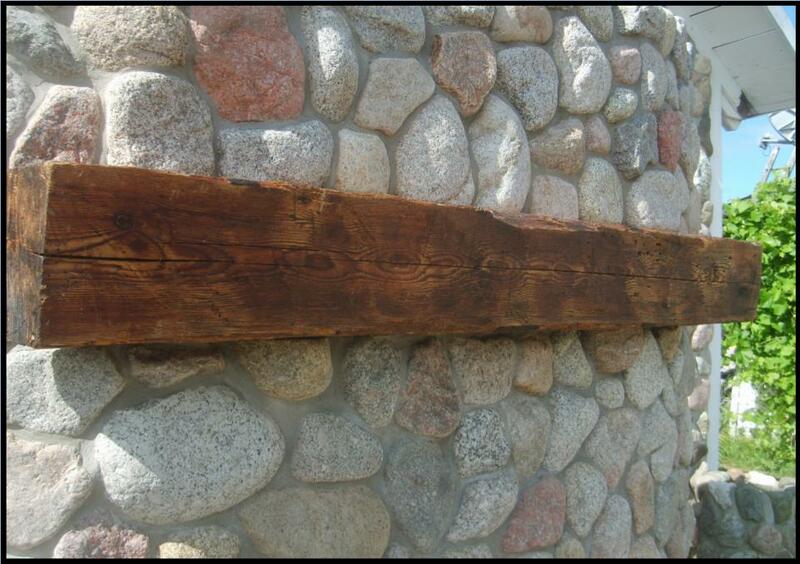 There are many different degree of angles to accommodate the many different angles that a stone mason will encounter on a archway or stone fireplace opening. 4 - 6 weeks lead time may be required. Contact us for a delivery solution. Your first contact will be a greeting. Here's Mark doing what he does best. 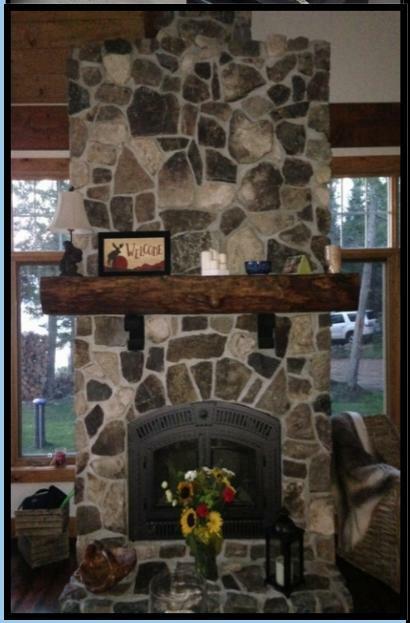 He is one of the guys will custom install your stone fireplace, pillars, exterior and interior to fit your designers concept. 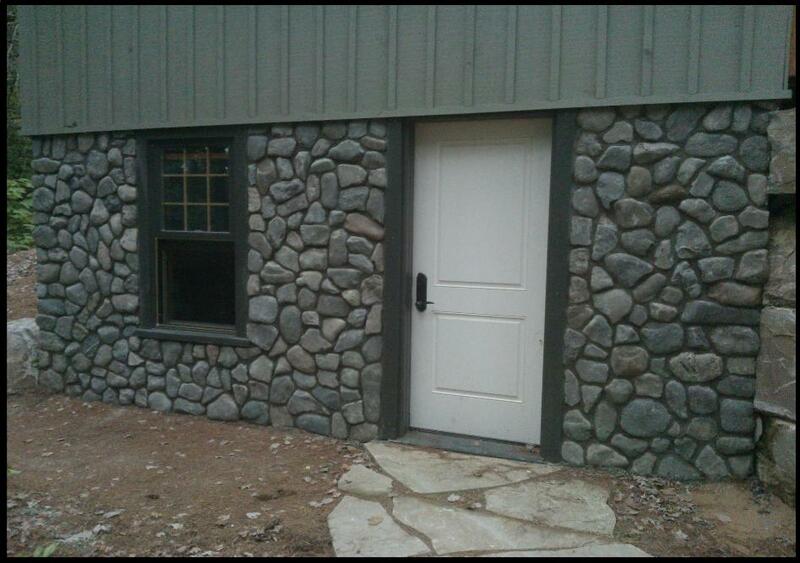 Mark has been installing our real stone veneer since we started slicing river rock. Please note that the photography of stone does not display the exact same image as the real thing. The real thing always looks better. 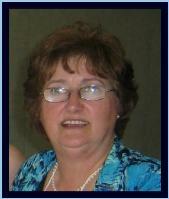 We are please to continue and expand our services to the Ottawa area. 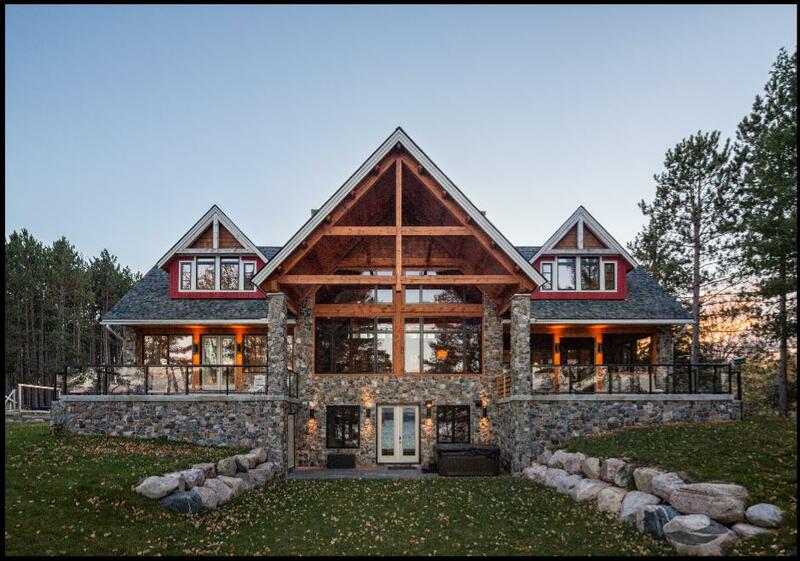 Many thanks to the Our homes of Ottawa Magazine for featuring our stonework 3500 plus sq/ft. on Round Lake, ON. Cut River Rock has a new depot location in Arnprior, Ontario.